learn how to do it in 4 weeks or less!" I was such a shy child growing up. I was afraid to speak up; afraid to express my opinion. I didn’t think anyone would stop and listen to what I had to say or even care what I thought. I’ll never forget my first potential “run-in” with the neighborhood bully. Everyone in the neighborhood feared “Joe”. You didn’t dare ride your bike down Joe’s street. You didn’t dare get in his way. One day I was riding my bike to school. As I was going along, I heard a commotion behind me. It was Joe and his pack of “followers”. They approached me on their bikes, and Joe and another boy rode really close to me in an act of intimidation – so close that I lost control of my bike and fell to the ground. I was a bit shaken up. I had never been bothered by a bully before. Instead of the typical bully behavior of laughing and riding off, Joe looked really concerned. He stopped riding, turned around, rode back to me and asked me if I was okay. I could tell he really cared about my welfare at that moment. “I am fine," I told him. He apologized, helped me up, and off we rode to school. He and his followers never again attempted to “bully” me. I felt so strong and safe. There was a power and inner confidence so present in me, that it prompted a known neighborhood bully to apologize to ME! Where did this inner sense of strength and security come from? Fortunately, I had adults in my life that knew the value of fostering a sense of inner strength within me using universal principles. I was taught about the existence of a power and wisdom that I could tap into it at will. By the time I was 8, I knew of the power I had over my life. If there was ever any doubt, this incident convinced me of my inner strength. Would you believe I grew up feeling that I was “bully-proof," even though I was shy and was probably the perfect target? 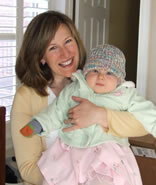 Years later, I was faced with another bully: Infertility. My husband and I so wanted a child; in fact I had dreamed all my life of having a large family; 6 kids sounded like a nice number to me! When I struggled to have a child, I tried everything. I felt like my world was caving in around me. That was, until I was reminded of something – I had forgotten about my powerful connection to my inner source of strength, peace, and wisdom. Do you know what reminded me? I happened to watch the movie, “The Secret." I recognized the principles taught in the movie, but had forgotten to apply them to my life to change my circumstances! I realized that I had always possessed what I needed, but I was searching for a solution outside of myself. I forgot that every answer to every problem can be found from within. Once I remembered this and the incredible power we all possess, I made a choice to stand in my power and face this bully head on. My ability to once again garner my inner strength and face my bullies convinced me that I had to teach this to my son. I had to instill in him the same strength instilled in me that allowed me to feel “bully-proof." I wanted to give him the ability to stand in the face of the “bullies” that life can throw at us. But I couldn’t stop with my son. I felt a strong calling to take this lesson more broadly. Let me tell you why. Whenever I hear an adult unknowingly say something to a child that I know can negatively affect their self-esteem, it breaks my heart! I know that adult could so easily tweak his words and have the opposite outcome! Often when I work in the lunch room at my son’s school, I will see a child or two sitting all by themselves while other children are sitting in groups happily eating and talking and laughing. Every time I observe this, I literally have to push back the tears. I know in my heart that it doesn’t have to be like this for them! If only I could tell their parents what I know to be true about sparking that inner source of strength in children, that strength that gives them resilience in the face of “bullies." So, what are the “bullies” that your children face? Does your child continually seek approval and acceptance from others? Does he doubt his abilities when you know he offers so much potential? Aren’t you tired of feeling that something that you’ve said or done, or not said or done has damaged the self-esteem of your child? Wouldn’t you like to know your role in the development of your child’s self image so that you could do something about it? Parents, it doesn’t have to be like this! You can help your child overcome these issues, just like I overcame Joe, the neighborhood bully as a child and infertility as an adult. Together, we can make a difference for our children! Would you like to learn a spiritual way to “bully-proof” your child by fostering a sense of inner strength and security that they could always rely on when things become challenging? I’ve discovered an important key to unlocking your child’s potential and I want to teach you how to use it. I’ve spent a lot of time and energy developing a simple and effortless strategy – the exact strategy that I’ve applied with my son, and that you too can easily implement with your children. I am finally ready to share this lesson with YOU so that you can teach YOUR children the powerful truth about their inner source of strength! 'Bully Proof' Home Study Program "
The "Child Self-Esteem 'Bully-Proof' Home Study Program " is a unique, one-of-a-kind, unprecedented 4-part home study program that will take you step-by-step through the strategy I utilize with my son and that you too can implement with your children. “Jill is such a special women and mother! I am so impressed by Jill's unique stand to not just WANT our children to feel great about themselves and make excellent decisions, but to be one of the RARE individuals who actually DOES something about it. 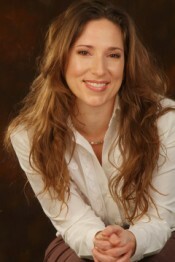 Jill is making our world a better place by bringing spiritual lessons for kids into the mainstream. 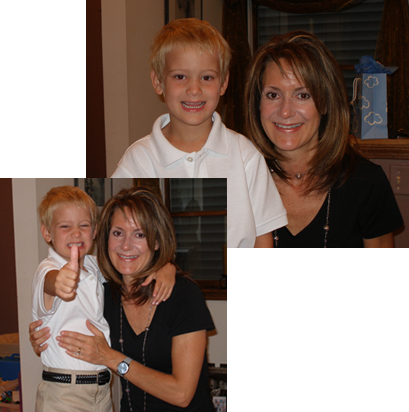 Under Jill's leading, parents will be offering their children the life skills we all desire." Click here now to register in this 4-part home study program! It's just a matter of knowing what to do; knowing how to bring about this inner knowing in your children. 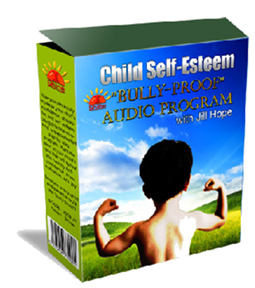 In the "Child Self-Esteem 'Bully-Proof' Home Study Program " I will teach you what I have learned and developed into a effortless strategy that I am using with my son. I'm just blown away by the results I am seeing and I want you to feel this way too! So, here is what you get when you enroll in my "Child Self-Esteem 'Bully-Proof' 4-part Home Study Program." Instant access to each recorded session in downloadable mp3 format. Reference sheets from each session that will help you to reinforce the key principles. Handouts detailing the exercises to make the whole process really easy and straightforward. The connection between your thoughts and the self-esteem of your child. Your role as parents in cultivating self-esteem in your kids. The basics of some key universal principles and how we use them to bring about a healthy level of self-esteem in our children. Why self-esteem is not tied to performance. How our core beliefs can impact the circumstances of our lives and that of our children. Whether your desires for your children are in alignment with your beliefs. What specific core beliefs you hold that may be hindering your children. A technique to eliminate any negative core beliefs you have. How to create new beliefs that support the development of healthy self-esteem in your kids. How language helps develop responsibility in our children. How praise influences our children, and which type of praise can actually damage self-esteem. The type of praise to use if you want to eliminate your child’s need to look for approval from external sources. The role of effort in building confidence and self-worth. How to speak (and think) in a way that brings about the changes you wish to see. Six language patterns that limit us and keep us from achieving our dreams, and how you can change these patterns. 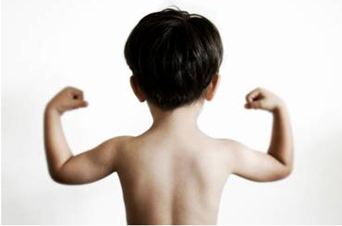 How the words our kids choose to use can have a negative affect on their self-esteem. How to undo low self-esteem by making a simple shift in your everyday speech. Three games you can play at home to encourage positive self-talk in your kids. Why self-deprecating humor can be so damaging to self-esteem. A powerful tool to help you determine precisely what it is you desire. The critical role of goal-setting in helping you manifest real change, and a simple process to do this. A simple process you can follow to help you effortlessly achieve your desired results. How to write affirmations for yourself and your kids that bring about dramatic improvements in confidence and esteem. A series of strategies that will empower your kids in a way that is really fun for them. How the power of your imagination can change your circumstances, almost like magic. A straightforward daily routine that puts into practice all you have learned thus far. The benefits of a gratitude mindset. What gratitude has to do with self-esteem. How to incorporate gratitude into your lives, and how use it as a tool when things get tough. Five techniques you can implement immediately to cultivate an ‘attitude of gratitude’ in your home. Why keeping a gratitude journal can actually improve your child’s sleep. An easy way to stay focused on seeing the good in your child, even when they are at their worst. A tool your child can use to increase her sense of well-being and satisfaction, almost immediately. A simple technique you child can use to enhance his sense of worthiness and self-confidence. What forgiveness really is, and why it plays such an important role in building confidence and empowering children. A powerful technique to help your child move on from a past disappointment, paving the way to creating goodness in their life." .... is worth $197 $97 at the very least? I'm sure you'll agree that this is a small price to pay for solid principles, and transformational strategies you can use with your kids to help them manage any challenges that life throws at them. I'm sure you'll agree this is a small price to pay to show your child how to access their inner strength and face life from a confident, secure place. BONUS #1: You’ll also receive a FREE copy of my “Moonlight Meditations” mp3 audio recording, valued at $19, yours FREE with your paid enrollment to my “Child Self-Esteem ‘Bully-Proof’ Home Study Program." This is a recording of two meditations I do with my son at bedtime that allow him to fall asleep peacefully, full of gratitude for his day and with joyful anticipation of the next day to come. He looks forward to these meditations every night! Click here now to register for the 4-part home study program and receive your FREE copy of my “Moonlight Meditations” and "Forgiveness and the Power in Letting Go" mp3 audio recordings. 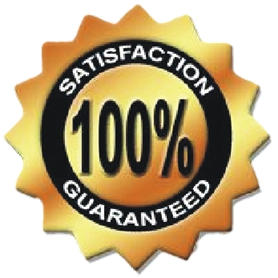 With my 100% money back guarantee, you have nothing to lose, and so much to gain. I’m so confident that if you employ all of the techniques I share with you, you’ll see improved confidence and self-esteem in your children. If you are not satisfied for any reason, just ask me for a prompt refund within 30 days of your purchase and I will oblige. A success journal template for recording your progress. Reference sheets from each lesson that will help to reinforce the key principles. My FREE bonus copy of my“Moonlight Meditations” and "Forgiveness and the Power in Letting Go. "mp3 audios. I understand that I’ll receive Instant access to each recorded session in downloadable mp3 format which I can download to my computer or mp3 player to listen to at my convenience. I’ll also receive reference sheets, home practice worksheets, and success journal templates that will help me follow along and apply the strategies I learn in the “Child Self-Esteem ‘Bully-Proof’ Home Study Program." As a BONUS, I'll also get your personal "Moonlight Meditations" and "Forgiveness and the Power in Letting Go"mp3 audios that can help me calm my children and foster in them a sense of gratitude and forgiveness (a $40 value). I know I'll have online access to class library containing all documents, recordings, bonuses, and session information in an easy-to-access, organized format. I understand that I'm investing in the “Child Self-Esteem ‘Bully-Proof’ Home Study Program ” at NO RISK whatsoever, because it comes with a full money back guarantee*, which I can request within 30 days of my purchase! I do hope you'll make the investment in yourself and your kids by taking advantage of the "Child Self-Esteem 'Bully-Proof Home Study Program." Here's to more confident, "bully-proof" kids! P.S. : Don't forget that this offer is completely NO RISK for you. If you aren't happy with the class for any reasons, you have my personal guarantee. Just ask for a refund within 30 days of purchase, and I will honor your request, no questions asked.